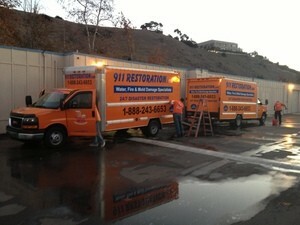 Bringing the highest quality talent and expertise to every flooding project is what Zach Goldman and the water damage Bedford crew with 911 Restoration Fort Worth do every day. When it comes to alleviating the effects that water damage can cause, immediacy is the highest priority and this is why Zach and the water damage Bedford specialists will arrive within 45 minutes of a call and get straight to work. When Zach and his water damage Bedford team eliminate water from a home or business, they go the distance and do everything from extraction to the final coat of paint. “My crew and I make sure that we take care of everything down to the little things that people don’t even think about like storing and drying their belongings after a flood has occurred,” Zach says. If the belongings in your home are already water logged from a local flooding event or any other kind of water damage situation, then don’t wait another minute to contact Zach and the water damage Bedford team with 911 Restoration Fort Worth today! Zach and the water damage Bedford crew know all there is to about the nature of water related challenges and this has given them all the knowledge that they need over the years to provide people with tips and tricks to avoid a water damage situation all together. 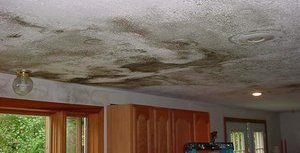 “We try and give people all the advice they need to avoid a water damage situation from ever taking place in their home or business and that usually means simple maintenance tasks that people neglect or forget to ever do. Here are a few easy ones for any homeowner,” Zach says. Check the rust, wear and tear on the piping in your home for small nicks or corrosion that may spread and grow if left unchecked. Never let the temperature of your home dip too low in the winter as this may cause a pipe burst to occur. Have your plumbing system checked at least every two years to spot any trouble before it grows larger and takes more effort to remediate. Clean the gutters and downspouts on your roof and the side of your home to make sure that water flows through them properly. “People underestimate these small things, but later down the road they can make a real difference when it comes to taking care of your home or business over the long haul,” Zach says. 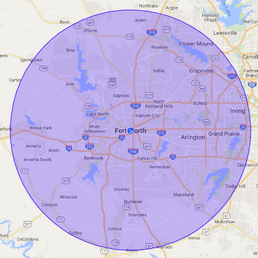 If your home is already in a water damage scenario, or if you would like more information about any of the points made above, then don’t hesitate to contact Zach and the water damage Bedford team with 911 Restoration Fort Worth today! Zach and the water damage Bedford crews have been providing solutions to the challenges presented in the water damage restoration world for long enough to be past surprise at anything the industry can drum up. “On a recent job that we did, we encountered a water damage situation where the upstairs toilet overflowed and ran for a few minutes before anyone caught it,” Zach says. “That water had to go somewhere and where it ended up was actually in between the paint layer and the drywall of the ceiling on the first floor. It created a pocket of drooping water that looked like a pain balloon hanging down,” Zach explains. Zach popped the trapped water out of the paint balloon and captured it with a large container and a lot of vacuum suction power to send that water out to the sewer. Afterward he and his water damage Bedford team extracted all of the soaked drywall and traced the trail back to the source. 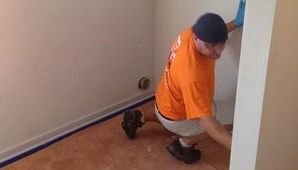 After fixing where all the water was pouring out from, he and his water damage Bedford crew then did a complete restoration and made the home look like new again. If your house is already amid a water damage scenario and you want the best in the business to handle it for you, then contact Zach and the water damage Bedford team with 911 Restoration Fort Worth and get all the help you need today!